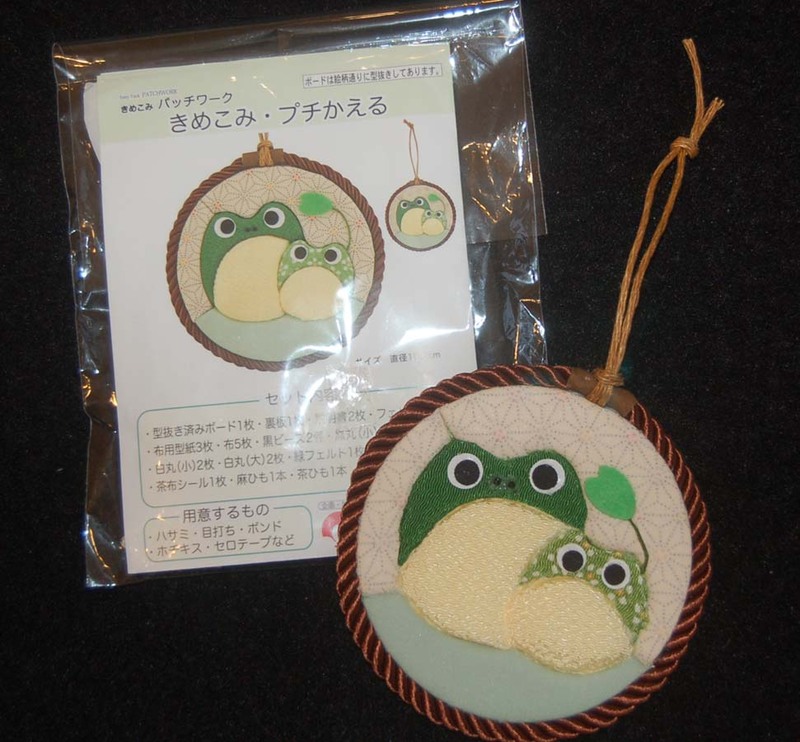 When I was in Japan, I was given this fabric craft kit...stylistic frogs? I decided to try it even though the directions were totally in Japanese. Following the numbered pictures, I succeeded in completing the kit with just a couple of fixable mistakes. What do you think?...pretty close to the one in the kit photo? Here is a close up of the finished product. It was an easy to execute project especially since all the parts and patterns were provided. The pieces cut easily due to sticky backed paper and were attached by poking them in with a barbecue skewer. A little glue (I used 1-2-3 Beacon from BFC) was needed to secure the cording. Here are some similar kits I purchased in Osaka. I'm hoping that HM Ben Franklin Crafts will soon be selling these fabric craft kits with English instructions. I think charms like these will pair well with resin charms already being sold at BFC. 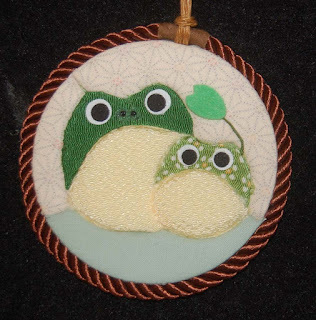 Take some time to do some BFC craft shopping and see all the new items that are sure to spark your creativity. 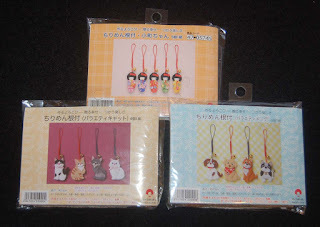 OMGOsh, Lynn... these are SO-O-O KAWAII!!! I guess you know all the best crafty places to shop in Japan... I think it would be so cool if Ben Franklin brought these products in for us to play with!